The 49th Winedale Summer Season is coming! The 2019 Summer Class will study The Comedy of Errors, Macbeth, and Richard II. 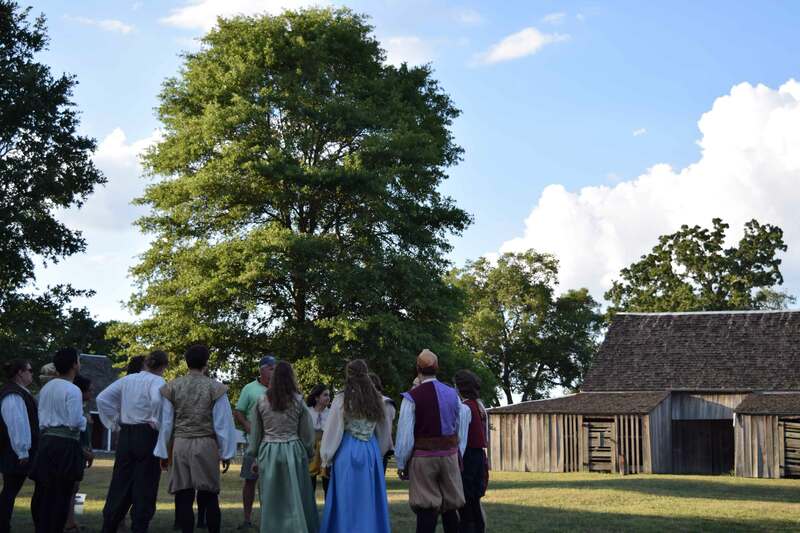 The Summer class is a unique way to learn about Shakespeare through performance. Shakespeare at Winedale is open to students from all disciplines, and application is by interview and not audition. No theather experience is necessary. Students come from all backgrounds, including other schools and even other countries. Winedale students have a fertile imagination, an eagerness to learn, a willingness to play, and a high level of dedication and stamina. Applications are available now! Download the Summer 2019 Application. All applications are due March 25. Interviews will be scheduled once applications are received. Formal application for 2019 Shakespeare at Winedale consists of: (1) a completed application form accompanied by (2) a three-page essay addressing your personal history and your interest in Shakespeare at Winedale. Once we have the application, we will e-mail information about your interviews.